This is a very practical solution for making cycling even more efficient than it already is. The key benefit here is that you don't need to buy a new bicycle to enjoy an electric bike. 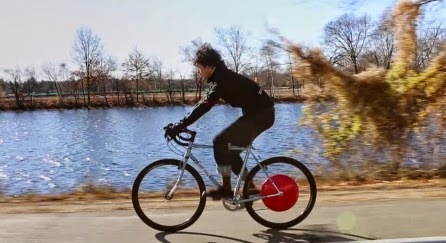 The Copenhagen Wheel is a universal rear wheel that contains all the technology, including the batteries. There are no wires. The wheel is controlled by an app on your phone. It learns from your pedalling and helps you when you need the help.